Hong Kong juvenile probationers are scarcely studied. The purpose of this study was to explore the 6-month short-term recidivism rate of 92 male juvenile probationers (aged 14–20 years), with and without controlling for their index crime. Generally, 30% of the juveniles reoffended within the 6-month follow-up period (82 and 18% were adjudicated of a nonviolent and violent offense respectively). Eight personality and psychosocial properties (self-esteem, life satisfaction, social bond, positive and negative affect, impulsivity, pro-offending attitudes, and self-perceived life problems) were assessed in both Wave 1 and Wave 2 periods. Only three properties (negative affect, self-perceived life problems, and self-esteem) yielded significant changes within the 6-month period. Beyond the exploratory analyses, another aim of this study was to identify significant predictors of recidivism in these rarely sampled juvenile probationers. Results indicated that type of crime, onset age of delinquent behavior, frequency of delinquency involvement in the past year, social bond, negative affect, impulsivity, and pro-offending attitudes were significant risk factors for recidivism. These findings highlight the need for social workers and other youth justice personnel to prioritize the intervention resources for juvenile probationers in light of the high estimated lifetime cost of crime for young offenders. 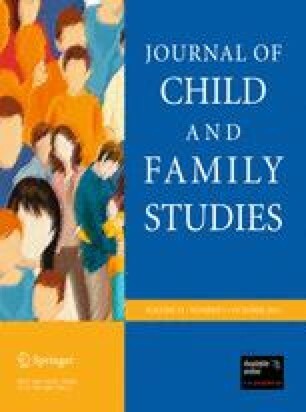 Cognitive-behavioral treatment modalities with emphases on family functioning and problem-solving strategies were found to be an effective intervention approach for juvenile offenders. Limitations and future research directions are discussed. Our sincere thanks are offered to those young people who have honestly shared their views on their probation sentence and offending behavior. The work described in this paper was fully supported by a grant offered by the Research Grant Council of the Hong Kong Special Administrative Region (Project No. HKU 442208H). Hong Kong Police Force (2011). Hong Kong crime statistics. Available online: http://www.police.gov.hk/. Van der Put, C. E., Stams, G. J. J. M., Hoeve, M., Deković, M., Spanjaard, H. J. M., van der Laan, P. H., et al. (2011). Changes in the relative importance of dynamic risk factors for recidivism during adolescence. International Journal of Offender Therapy and Comparative Criminology. Available online. doi: 10.1177/0306624X11398462.